Methods research at the MRC CBU is distributed across several groups and projects. We are continuing to refine methods for combining neuroimaging data from multiple modalities, such as MEG and EEG (Henson et al., 2009b), and M/EEG and fMRI (Henson et al., 2010), in order to optimise both temporal and spatial resolution. For this, we use a parametric empirical Bayesian framework (reviewed in Henson et al., 2011). These methods are incorporated into the SPM software (Litvak et al, 2011), and accompanied by a multisubject, multimodal dataset (MEG, EEG, T1, BOLD, DWI, FLASH) that is freely available to compare with other such methods (ftp://ftp.mrc-cbu.cam.ac.uk/personal/rik.henson/wakemandg_hensonrn/). Together with Hauk, we also continue to work on the M/EEG source reconstruction problem (Henson et al, 2009a; Hauk et al, 2011). We are interested in evaluating methods for inferring effective connectivity between brain regions using fMRI and MEG/EEG. Effective connectivity goes beyond functional connectivity in trying to infer directional causality, in the Granger sense of temporal precedence and/or the model comparison sense for parametrised networks. For example, we have developed a pipeline for multivariate autoregressive modelling of MEG/EEG timeseries data (Williams et al, in prep), and continue to evaluate dynamic causal models of MEG/EEG and fMRI data (Chen et al, 2009; Henson et al, 2012). 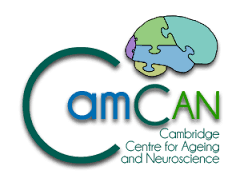 We also host the Cambridge Connectome Consortium together with other groups in Cambridge (e.g, Bullmore’s group) who are interested in applying graph theoretic measures (e.g, Kitzbichler et al, 2011) and dynamical systems theory (Shriki et al, in press) to neuroimaging data. While brain imaging averages together activity from millions of nerve cells or neurons, information processing takes place through detailed, high-speed communication of electrical impulses between one neuron and another. Recording such activity requires electrodes placed within the brain, sometimes in patients whose electrode grids have been implanted to help in surgical planning, but more commonly in experimental animals. A strategic collaboration with the University of Oxford allows us to carry out studies of high-level vision, attention and cognitive control in behaving monkeys, uniquely suitable because of close similarities between human and monkey brains. Our MRI Physics research is strongly driven by the requirements of the different research programmes at the CBSU. MRI data acquisition takes place on a full-time, research-dedicated, on-site Siemens 3T TIM Trio with 12- and 32-channel headcoils. We are developing and evaluating novel methods for source estimation and spatial filtering of EEG/MEG data (Olaf Hauk, Rik Henson). Recently, we started to co-register eye-movements with simultaneous EEG/MEG measurements (Olaf Hauk). We are constantly thriving to improve standard analysis pipelines (including Maxfilter software and ICA artefact correction, e.g. Olaf Hauk), and are optimising EEG/MEG recording and analysis procedures for studies on development and aging.